I love Scandinavian design and I know you do as well! Let's continue our week of giveaways with the fabulous String from Sweden! 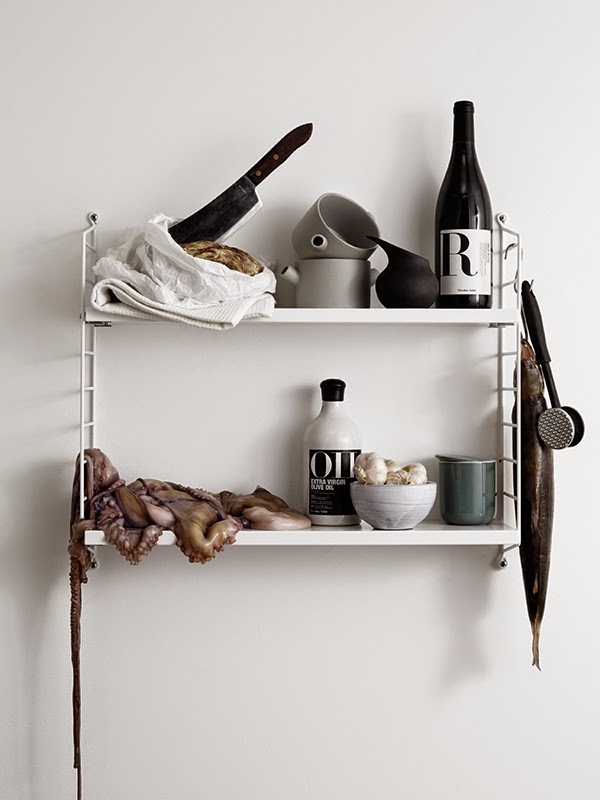 Well known for their outstanding shelving system. 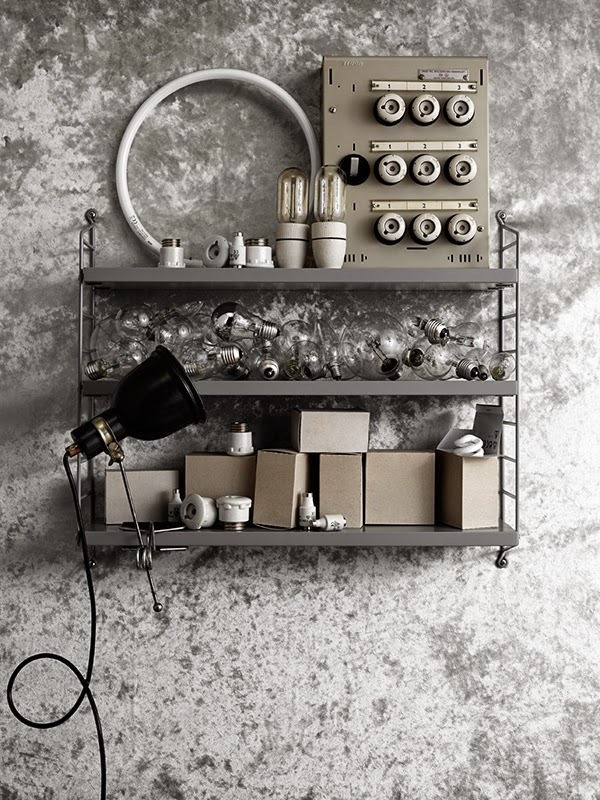 The shelf was originally created in 1949 by the Swedish architect and designer Nisse Strinning and with different sizes and materials you can draw your personal shelving system that best fits your home. There is also a new addition to the shelving system called String works, you might have seen it on the blog in last years post. In this second giveaway we offer you the chance to win your very own Pocket shelves in a colour and material of your choice. On the String website you will find different colours to choose from... When you found your favourite pocket shelves, simply leave a comment in the post below with your choice and don't forget your email. We will announce a winner next week! 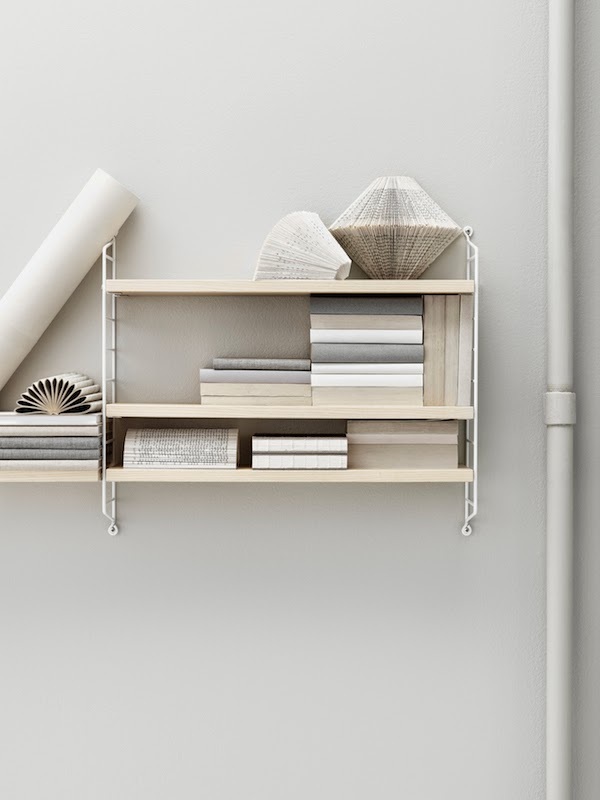 Congratulations A white String shelve is won by Mariska Broers.